Musical 2018: Scoil Barra A Muscial Journey: Behind the Scenes! Musical: Lion King and Oliver! Scoil Barra dedicated International Women’s Day 2018 on the 8th of March 2018 to our friend and colleague Órla Murphy RIP. Classes worked on projects that focus on famous and important women both from Ireland and around the world. We had a wonderful display set up in the Halla and around the school today. Check out some of the projects below. 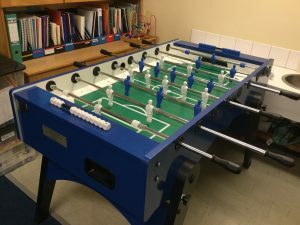 A brilliant foosball table was very kindly donated to our school by the staff of FireEye Cork in rememberance of our pupil Dani Szalai RIP. 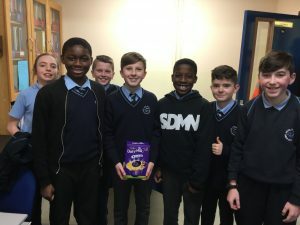 The pupils in 5th and 6th class decided to run their own foosball league, with pupils from 6th class organising it all and setting the fixtures. After a few months of games at lunchtime the finals took place today, Monday the 12th of March. Congratulations to the organisers, finalists and evental winner! Well done all! 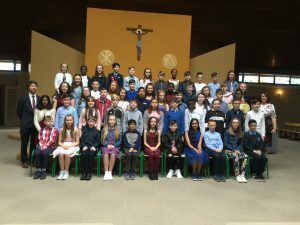 Our Confirmation ceremony took place on a very windy and rainy Wednesday the 14th of March 2018. Our pupils, teachers and school community braved the weather and enjoyed a special and meaningful service delivered by Bishop John Buckley. Many thanks to all who contibuted so positively to such a wonderful celebration.